Be sure to explore the city by visiting low-income and gang-infested neighborhoods in full cosplay. Do not approach anyone offering free hugs. You want to splurge on the $2.00 hugs. Wear appropriate footwear. Remember, comfortable shoes are a sign of weakness. Cosplay should be as thick and bulky as possible, as conventions tend to be very cold this time of year. Don’t bother with showers or deodorant; everyone is having such a great time that they won’t notice your smell anyway. Use real weapons in your cosplay for maximum authenticity. When waiting in lines, be courteous to others in line by entertaining them with loud, obnoxious music. 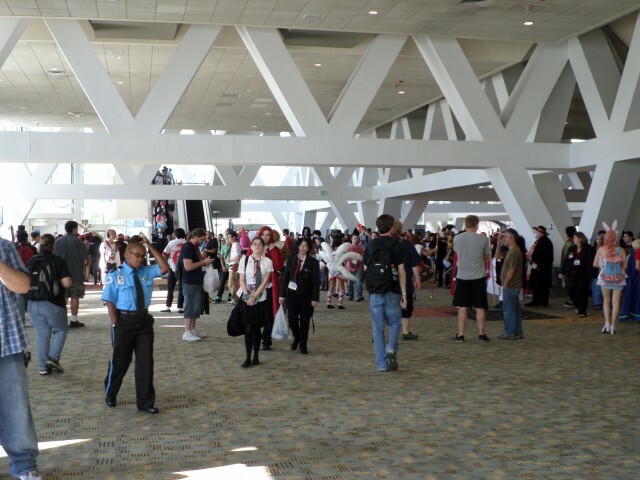 Remember, cosplay is not consent unless that guy dressed up as a girl is like… super cute. During Q&A sessions, make the most out of your question by asking several long-winded questions in rapid succession while speaking as quickly as possible. Anime conventions also double as furry conventions, so go all out. If nothing else, remember 6-2-1. Six alcoholic beverages, two sexual harassment charges, and one trip to the bathroom per day maximum. i can’t drink due to a health problem, should i go for extra sexual harassment charges to compensate?